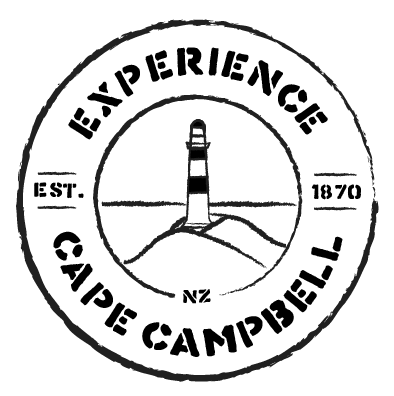 Nestled beneath the iconic Cape Campbell Lighthouse, clinging to the south eastern tip of Cook Strait New Zealand, lie our self catered stays in our cosy cottages. The accomodation offered is in original lighthouse keepers huts, and offers a sheltered haven tucked away under the unique papa-white cliffs of Clifford Bay. You will find a home away from home, bounded by ocean and sky. The beach is but a stones throw away from your doorstep. 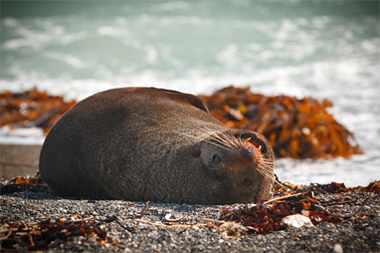 Look seaward for a chance to see one of the many Hector’s dolphins that reside in the bay, sharing the fertile waters with the New Zealand fur seal & abundant birdlife that thrive along the coastline. Explore the child friendly rock pools at low tide, home to many species of shell-fish and fish alike. Take to the hills walking, biking or on horse across the Cape Campbell Farm, or just simply walk the coastline in search of new treasures arriving with the change of every tide. With no neighbours for miles, you can settle into the rhythms of nature and forget the hustle and bustle of the busy world. 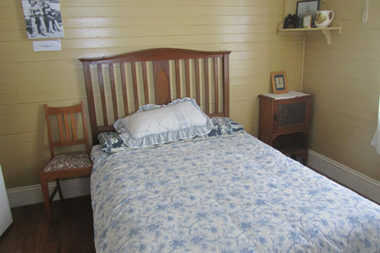 Just sit back and relax on “The Cottage” verandah – site for the filming of “The Light Between Oceans” – and watch the endless sunsets. Left with the chirping of birds and the roll of ocean waves, this is a place to be Experienced.